I consume extra-virgin olive oil almost on a daily basis, because I understand the importance of including this valuable source of omega-9 fats in my diet. 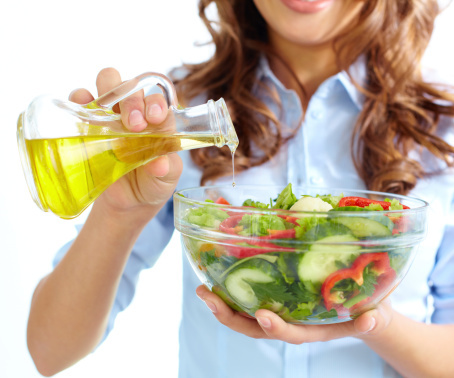 Olive oil has been widely researched and the findings have clearly shown that the intake of olive oil can lower your risk of developing heart disease, stroke, dementia, and some forms of cancer, and can improve your life expectancy. Adding to this list, recent research has also indicated that by including olive oil in your diet, you may be able to ward off the harmful effects of air pollution. In the U.S., Canada, and other parts of the overpopulated globe, air quality continues to be a very problematic issue, causing premature heart disease, lung disease, and death in thousands of unsuspecting people. Unfortunately, the particulate matter in the air from pollution emitted by coal generators and vehicles can damage the sensitive endothelial linings of your arteries, leading to premature atherosclerosis. In this new study, 42 healthy adults were recruited to establish if there was any link between the use of fish oil or olive oil and protection from air pollution, determined by the reduction in blood flow through the brachial artery located in the arm. The subjects were randomly placed into three groups. One group received three grams of fish oil, another received three grams of olive oil, and the third (the control group) was given no supplement at all for four weeks. The subjects were then exposed to fine and very fine particulate matter in a controlled chamber. Measurements of blood flow through the brachial artery took place before the exposure, right after the exposure, and 20 hours later. The results of this study indicate that the participants in the control group and those taking fish oil all experienced a decrease in blood flow immediately after the exposure took place, contrasted to the olive oil group who had normal blood flow. The group of participants who were taking olive oil supplements also had higher levels of tissue plasminogen activator, which had increased by 11.6% and persisted for 20 hours. Tissue plasminogen activator is an enzyme secreted by the endothelial cells lining your arteries. This enzyme helps to break down any potential blood clots that can form inside the arteries and disturb blood flow. Although this is a small study with a limited number of older participants, some great information can be learned from this type of research. Firstly, the fact that the study subjects had an average age of 58 is important, as the risk of heart disease often increases with age. In addition, some significant changes in blood chemistry could be measured in the vascular systems of these folks, which could represent a significant reduction in risk for the development of heart disease. Secondly, the use of olive oil for a short duration improved blood flow through the brachial artery after being exposed to particulate matter similar to air pollution. Thirdly, extra-virgin olive oil contains large amounts of antioxidant chemicals, including the two most researched antioxidants: hydroxytyrosol and oleuropein. These chemicals keep the blood thinner and prevent clotting. They also cause a release of nitric oxide inside the artery, which causes relaxation of the arterial wall and improvement in blood flow. In my opinion, this last point is the primary reason why this study indicated that olive oil had a protective effect upon the development of heart disease following the exposure to environmental particulate pollution. Kling, J., “Olive Oil Might Have Protective Effect Against Air Pollution,” Medscape web site, June 3, 2014; http://www.medscape.com/viewarticle/825585. American Thoracic Society (ATS) 2014 International Conference: Abstract 55100, presented May 19, 2014.